Born in Como on February 27, 1991. She graduated in Dental Hygiene at the University of Milan-Bicocca (final grade: 110/110). She worked at the dental clinic of the San Gerardo Hospital of Monza, the Italian Stomatological Institute of Milan and the dental clinic of the Palazzolo Institute – “Don Gnocchi” Foundation in Milan. 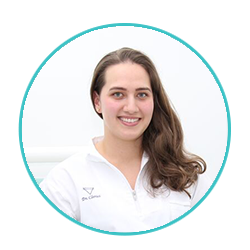 Currently tutoring the Degree Course in Dental Hygiene at the University of Milan-Bicocca, she is a member of the Italian Society of Periodontology.